St John Corbet Gore was born on 10 December 1859. He was the son of Ralph Thomas Gore and Isabella Jane Priaulx Hopkins. 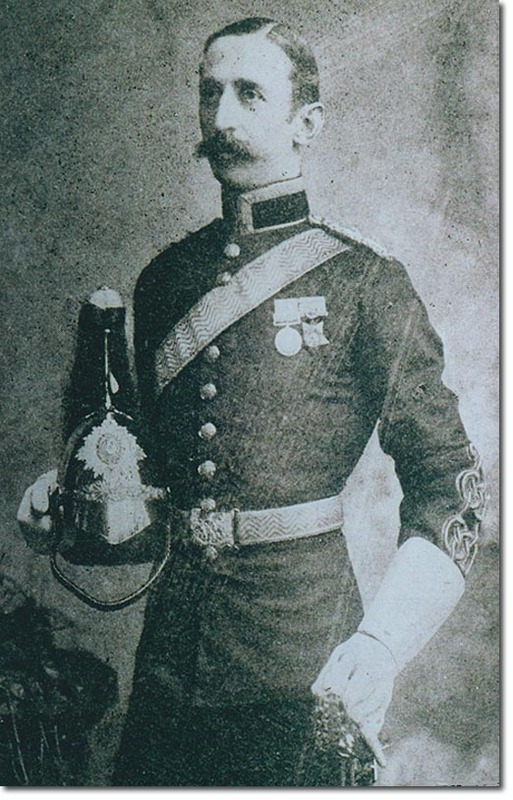 He was educated at Elizabeth College Guernsey, Winchester and the Royal Military College Sandhurst, then gazetted Second Lieutenant in the 19th Hussars in 1879, but in the same year exchanged into the 5th Dragoon Guards. In the Sudan Expedition of 1884 he served in the Camel Corps. He married Isabella Charlotte van der Byl, daughter of P G van der Byl, on 22 June 1892. She died in 1937 and there were no children of the marriage. The outbreak of the South African War found him a lieutenant colonel and he took part in the battles of Elandslaagte and Lombard's Kop and he was in the siege of Ladysmith, being twice mentioned in despatches. He was created CB in 1901. He gained the rank of Lieutenant-Colonel and Brevet Colonel in the service of the 5th Dragoon Guards. In 1909 he was appointed a member of the Honourable Corps of Gentlemen-at-Arms. During the 1914-18 war he was military secretary to Sir Archibald Murray. He was created CBE in 1918 and as a Commander, Royal Victorian Order (CVO) in 1925. He was Lieutenant of the Gentlemen-at-Arms between 1926 and 1938 and invested as a Knight Bachelor in 1930. He was the author of two books: Letters to Myself [On a Tour Made by the Author in 1887. with Plates.] and The Green Horse in Ladysmith (Sampson Low, Marston & Co 1901) He died on 5 November 1949 at age 89, without issue.